Once upon a time the computer was so slow that for getting an output we had to wait for hours. But now a days it produces output almost instantly! still we are not satisfied with it’s speed, we become angry if it delays 1 or 2 seconds to give the result. This ends with a conclusion that nothing can satisfy us. 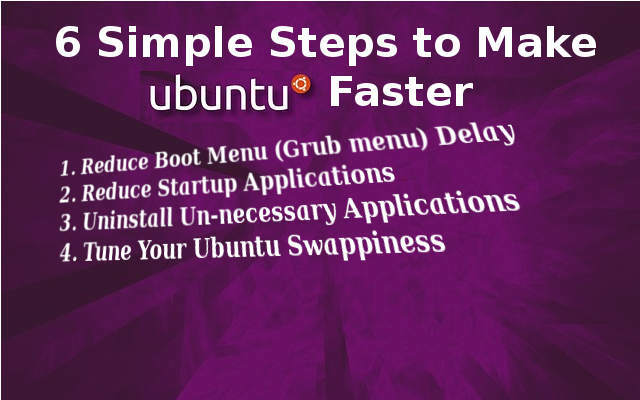 OK now lets have some tricks to speed up your machine performance which is running ubuntu as its operating system. If you are using multi boot system, Ubuntu displays a GRUB boot loader menu for 10 seconds before the actual operating system boot starts. Even if you don’t use multi boot system still ubuntu displays this GRUB boot loader menu for 3 seconds. This GRUB menu display time can be controlled in your ubuntu grub file. So to modify this setting type the following command in the terminal. And press enter. Once the grub file opens find GRUB_TIMEOUT in that file and change the value to 0 (if you do not use multiboot). The number actually represent the time in seconds. So set the time to zero(0) means the grub menu will not display now onwards and it will load ubuntu by default. Still if you want to access the grub menu, you can access the boot menu by continuously pressing the arrow keys or Escape key while your computer is booting. After changing the time save the file and type the following command to apply the change. Startup applications are those applications which starts loading with your operating system. So it tremendously reduces your system performance by increasing the operating system loading time. So try to reduce the applications in startup. Click on Dash Home or press Winkey -> Type Startup -> click on Startup Applications -> select the application from the “Startup Applications Preferences” window -> click Remove. According to me the few applications are heavy and this applications are not required. Following are some of the applications, and you can uninstall them for better performance. Uninstall Ubuntu Software Center: Ubuntu Software center provides an interface to access applications from the ubuntu software repository. So the benefit, that you can get form it is easy software installation through graphical interface. But the problem with ubuntu software center is, they do not have uptodate software. Instead of ubuntu software center you can install Synaptic Package Manager. Synaptic also provides the same benefits, but with uptodate software. 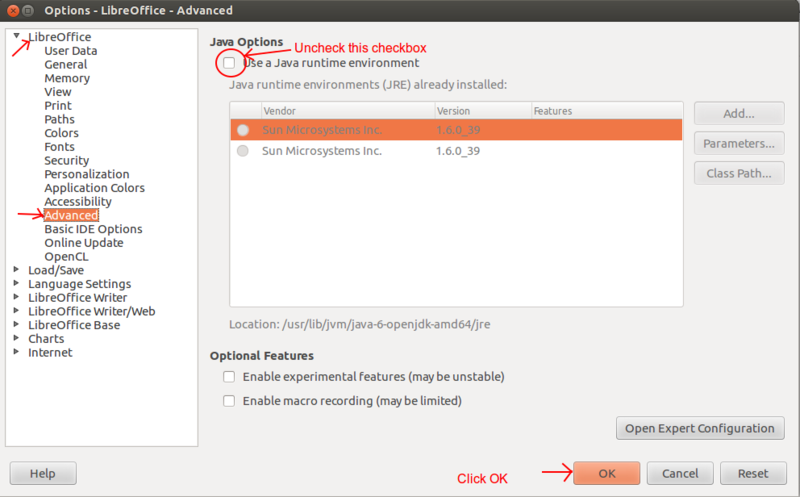 So to uninstall ubuntu software center execute the following command. Uninstall Ubuntu One: Remove you Ubuntu One, by typing the following command. Use Smplayer instead of Totem and Rhythmbox: Uninstall Totem, Rhythmbox and install Smplayer. Swapping reference to moving data or information from RAM to the hard disk swap area. I have noticed most of the time that ubuntu does not even use half of the RAM. It uses swap though you have free RAM available. Using to much swap slows down your system performance. You can control the swapping preference in a configuration file. But never turn the swap OFF, because if somehow, with large applications your RAM becomes full, your system will not respond, because you have no space there to keep RAM data, as you have made swap off. If you often use libre office then disable the Java environment in your libre office to increase the performance of your libre office. Though some features will automatically be disabled which are not that much important. Run these two command after installing or uninstallng any applications, it removes all unnecessary dependencies of partially installed application and its dependencies.